Updated 1/18/19 ~ As a past Disney Cast Member, a true Floridian (born and raised in Orlando), and Disney visitor with over 1,000 visits under my belt; I get asked one question almost daily. What is that question? How do I get cheap tickets to Disney World? There are so many ways to answer that question, so I finally sat down to write the epic guide to saving money on Disney World tickets. This guide includes simple ways to save money and even ways to get FREE tickets! Click here to download a copy of the Guide to Save Money on Disney World Tickets. Plus, a bonus! I also share my secret to saving money on Disney World tickets, if I only have 5 minutes. We have really busy lives with kids, jobs, etc. and sometimes we only have a few minutes to make a decision. Be sure you check out my recommendation if you only have 5 minutes to book Disney World tickets. What are Disney World Tickets? Since ticket prices change every year, we are going to break down the ticket options. Let’s first start with the lingo. A basic ticket that allows you to visit one Disney Park on one day is called a 1 Park Per Day Tickets (or Base ticket). You can then add extra options like a Park Hopper or Park Hopper Plus. The 1 Park Per Day Ticket allows you to visit one Disney Theme Park each day. You can visit the same Disney Theme Park twice in one day, but you cannot visit other Disney Parks. For example, you can go to Magic Kingdom in the morning, take an afternoon break at your resort, and then head back to Magic Kingdom for the evening fireworks. With the 1 Park Per Day Ticket, you can just purchase this ticket or you can start adding some fun extra features. These extra options help you plan the best possible trip for your family. Plus, you are paying for the options you really want to use. Here are some details about the other options you can add to your tickets. Park Hopper Option – This allows you to hop between Disney Theme Parks on the same day. For example, you can visit Magic Kingdom in the morning and then Epcot in the evening. This only counts as one day on your pass. This is the most popular option added to Disney Tickets. Park Hopper Plus Option – If you would like to visit other attractions at Disney World like the Disney Water Parks, ESPN Wide World of Sports, Disney Mini Golf Courses, or Oaks Trail Golf Course; you can add this option. What Disney World Tickets Should I Pick? We know the tickets can be a little confusing, so here are some suggestions on adding these extra features to your tickets. Budget should always be one of the first considerations when deciding to add other features to your tickets. If you are trying to stay on a strict budget, stick with the Base Ticket. Your family will have just as much fun visiting one park each day as visiting multiple parks on the same day. on Disney World tickets! Get instant access for FREE! Park Hopper Option – Why Should I Ad This Option? Park Hopper Plus Option – Why Should I Ad This Option? Now is the part that I share all of my knowledge about ways to save money on your Disney World tickets. You may be able to do one of these or a few of these tips. Take your time and read through them all. Some tips may save you more money based on your family. For example, the active/retired military tickets are the best tickets for anyone in the US military. However, if you have a Disney Cast Member friend or family member, they may be able to get you into the park for free. Take your time and read through all of these various ways to save money on your tickets and then pick the best one (s) for your family. The easiest way to save money on your tickets is flexibility. Disney’s least expensive ticket is the 1 Park Per Day Ticket. The tickets start to get more expensive when you add the extra features like the Park Hopper Option or the Park Hopper Plus Option. To save money, purchase the 1 Park Per Day Ticket. 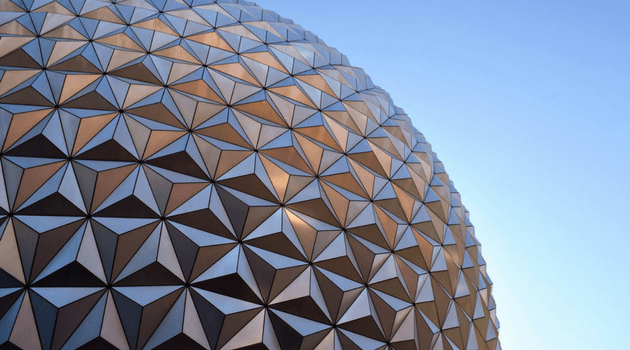 Do you really need to visit Magic Kingdom and Epcot on the same day? This may be something that is very important to your family and are willing to pay the extra cost to upgrade to the Park Hopper Option. Remember, most kids are going to be so excited to go to Disney World – they will not even care if they visit Magic Kingdom and Epcot in the same day! Before booking your tickets, you may want to consider booking a Disney World Package instead of room and tickets separately. Disney offers discount packages throughout the year that saves you money on your entire vacation, including tickets. A recent discount included a free day to play at the Disney Theme Parks. Most guests book a Disney World vacation directly with Disney Reservation Agents or online at disneyworld.com. You may be missing a great resource for planning your Disney World vacation, called an Authorized Disney Vacation Planner. This is a breed of travel agents that focus mostly on Disney vacations. The top 10% of travel agents across the United States that sell Disney, are honored by Disney, as an Authorized Disney Vacation Planner. 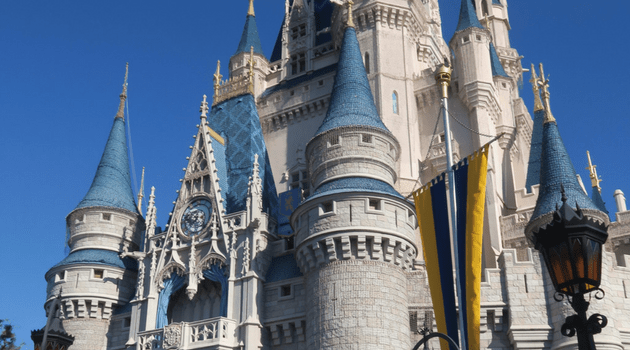 These companies have strict guidelines they have to follow as an Authorized Disney Vacation Planner, so you can feel confident that you are booking your vacation with an expert. Since Disney prices are the same for most companies, Authorized Disney Vacation Planners offer extra incentives to book with them that other companies may not offer. One of our favorite companies is Destinations in Florida at www.destinationsinflorida.com. They offer great prices and they offer free perks to add more value to your vacation. Contact Erin or Elizabeth at Destinations in Florida at erin@destinationsinflorida.com or elizabeth@destinationsinflorida.com to book your tickets. Be sure you tell them Jones Family Travels sent you. Disney rewards guests for playing longer at the theme parks, so you can really save money on your tickets if you play at Disney World longer. The more days you add to your tickets, the less money you are paying per day. A 10-Day Pass is just $44 per day. This is more than a 60% off savings on a 1-Day Pass to Magic Kingdom that starts at $109 during value season. Disney World no longer offers pre-order discount prices, but pre-ordering your tickets will save you TIME! If you pre-order your tickets, you can also make your FastPass+ reservations before you arrive to the Disney Parks. This will save you time waiting in lines at the more popular rides and attractions. A great way to save some money on tickets is through a ticket wholesaler that are also called Authorized Disney Ticket Sellers that still offer discounts on tickets, if you pre-order them before you leave. Some of these companies will deliver the tickets to your hotel for a small fee, ship them to you for a shipping fee, or you can pick them up at their offices when you arrive to Orlando. One of the best deals on tickets is the Park Hopper Plus. This option allows you extra visits to the other Disney Attractions including Blizzard Beach, Typhoon Lagoon, miniature golf, Oaks Trail golf, and Wide World of Sports. The number of extra visits depends on the number of days on your ticket. If you have a 2-Day Pass, you get 2 extra visits. If you have a 4-Day Pass, you get 4 extra visits. If you have a 10-Day Pass, you get 10 extra visits. The Park Hopper Plus Option is under $100 per person. This is a really great price. A regular 1-Day Pass to Blizzard Beach is $60-65 (based on the season) per adult plus tax. For $40 more you will get extra days to visit Typhoon Lagoon, ESPN Wide World of Sports, mini golf, and Oaks Trail. Or, you can just head back to Blizzard Beach for more fun. If you purchase a 6-Day Pass with the Park Hopper Plus Option, you are really only paying $10 per day for these extra visits. That is more than 75% of a savings! 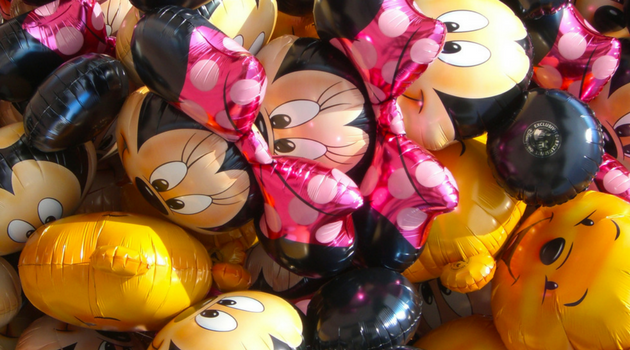 We have lots of guests that really need the very best price on tickets for Disney World. Sometimes purchasing a 4-Day Pass is just too much money. We suggest purchasing a lower number of days on your tickets and adding the Park Hopper Plus Option. The other Disney attractions like Blizzard Beach and Typhoon Lagoon are themed and just as much fun as the Theme Parks. Many kids actually prefer Disney Water Parks over Epcot or Disney’s Hollywood Studios. If you are visiting Disney for four days, purchase a 2-Day Pass with the Park Hopper Plus Option. This will give you two days at the Disney Theme Parks and two days to enjoy one of the extra parks like Blizzard Beach or Typhoon Lagoon. You will have four days of play, but for less money than a 4-Day Pass. A 2-Day Pass with the Park Hopper Plus Option (in January) is $292.86 per adult plus tax and a 4-Day Pass (in January) is $371.04 per adult plus tax. That is a savings of $78+ per person! Once you arrive to Orlando, you will see “free tickets” or “discount tickets to Disney” all over the place from 7-11 convenience stores to inside the lobby of Orlando hotels. You can also see these promotions all over the Internet. These are all owned by timeshare companies. If you are willing to take a 90-120 minute heavy sales pitch, than you can save additional money on a 1-Day or multi day pass to Disney World. Most people do not want to waste their vacation on a timeshare pitch, but this is another option to save money on your tickets. Disney World does offer extra discounts for Florida Residents. You can purchase these Florida Resident tickets online or at the ticket windows at Disney World. These tickets are really good savings, but only available for Florida Residents. Each adult will have to show a valid Florida ID when the tickets are purchased. If you do not have a Florida ID, you cannot purchase these tickets. Since children do not have to have a Florida ID, family/friends who live in Florida can purchase Florida Resident tickets for kids. If you have a friend or family member that works at Disney World, check with them about discounts. Cast Members can get some guests into the parks for free with their ID. If the Cast Member does not have this perk, they can still order tickets for friends/family members at great prices. Disney occasionally offers discounts on tickets for active military and their family members. Right now Disney is offering a $196 per person rate for a 4-Day Base Ticket. Be sure to also book your Disney World Resort with special Military Room and Dining discounts. Sometimes your favorite wholesale clubs like Sam’s, BJ or Costco offer discounts off tickets alone or included in a package with hotel accommodations. If you have a wholesale club membership, you may want to check to see if they have any ticket discounts during your Disney World vacation. Throughout the year, Disney offers discounts on hotel accommodations and packages. Sometimes, the package discounts include a ticket offer. A few years ago, Disney Travel offered free ticket upgrades! Most guests visit Disney World for the theme parks or water parks. 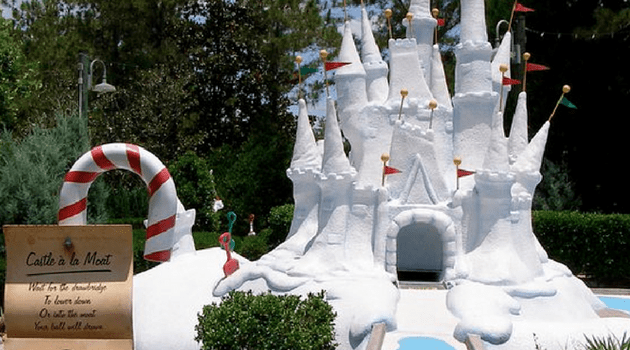 However, you can get free tickets to play mini golf at Winter Summerland or Fantasia Gardens when you book a Disney World Package. This package includes free vouchers to play a round of mini golf. If you choose to play a 2nd round, you save 50% off that next round. It may not always be a better deal to add the Park Hopper Plus Option to your tickets. If you are only planning to visit one of the Disney Water Parks, you should just purchase a 1-Day Pass instead of adding the Park Hopper Plus. This will save you just a few dollars, plus you can pre-order your tickets to save a little extra money. If you are a Canadian Resident, check out your local Disney Store or CAA. Several times a year, the Canadian Disney Stores and CAA will offer tickets at par. This will certainly save you more money than other promotions. We always hear guests talking about waiting until they arrive to Orlando to purchase tickets at the Walmart in Kissimmee. The Walmart in Kissimmee does sell Disney World tickets but the Official Ticket Center actually has better prices. Even Disney direct has better prices on the 1-Day and 2-Day Passes. Plus, you do not have to drive to Walmart and wait in lines to purchase the tickets. If you do have a car and want to save some money on souvenirs – Walmart in Kissimmee or Walmart in Orlando (Turkey Lake Road) are really good options. The souvenirs are not as high quality as Disney souvenirs at Walt Disney World, but they are a fraction of the cost. You can purchase tickets on ebay, but be very careful. With the ticket tag system, they have to be new and never used tickets or older Park Hopper Tickets. The old Park Hopper Tickets did not expire and were not attached to a particular person. These old tickets can still be used and purchased on Ebay. With the new Disney World tickets, the price goes up over the weekends and busier seasons. If your vacation dates are flexible, travel during the time (when kids are in school). This will always be the lowest prices! If you volunteer for a sporting event at Disney World, you can get some fun goodies, including points that you can use to get complimentary admission to Disney World. Visit runDisney for more details on volunteering for the next endurance event. Making a difference by volunteering and getting a free day to play is a win-win! Another simple tip that often gets overlooked is the difference in price to add additional days to your tickets. Going from a 3-Day Pass to a 4-Day Pass is $10 per day. Even better is going from a 9-Day Pass to a 10-Day Pass is only $5 more per day. With savings like this, it is hard not to stay and play in Orlando longer. If you are an employee to a company that sponsors a ride or attraction at Disney World (for example: GE, Coke, Federal Express, etc.) contact your Human Resources Department. Throughout the year, these companies offer free or discounted admission for their employees. The company and promotion varies from company to company. Be sure to check about these ticket discounts before booking your tickets. If you are visiting Disney World for a convention at Disney’s Contemporary Resort, Disney’s Yacht & Beach Club Resort or Disney’s Coronado Springs Resort; check with the Convention Planner or Company sponsoring the conference before booking your tickets. Disney offers many discounts for convention visitors including an after 2 PM and after 4 PM discount for guests. They even have a free water park ticket when you purchase at least a 2-Day ticket. These discounts are usually only for registered convention guests. Be sure to check about these convention discounts, before booking your tickets. Bring your whole family to Disney World and take advantage of group discounts on tickets. If you have 20 people or more, you may be able to get a discount on your Disney World tickets. This includes special tickets, including the After 2 PM or After 4 PM tickets that you can only get with Disney Groups. Disney gives thousands of dollars in tickets away every year to special children and their families through Give Kids The World and Make a Wish Foundation. If you have a special child who would like to meet Mickey Mouse or visit Disney World, contact your local chapter of the Make a Wish Foundation or Give Kids The World. If you are planning on visiting just Magic Kingdom, plan your visit around a Disney Special Event. Disney offers special events throughout the year including the Mickey’s Not So Scary Halloween Party and Mickey’s Very Merry Christmas Party. These events run from 7 PM-midnight, but you are allowed entrance into the park as early as 4:00 PM. These special events have fewer crowds, since admission is limited. All of the regular attractions are open, including parades and fireworks. The parades and fireworks are usually focused around the special event. For example, Mickey’s Very Merry Christmas Party has a Christmas Parade. The cost of these special events are almost as expensive as a regular 1-Day Pass, but still a few dollars in savings per person. It is a great way to save money on a 1-Day visit, plus you will be beating the crowds, so you will be able to get through the park at a record speed. If you are bringing 10 more kids to Disney World, contact your travel agent or Disney Leisure Groups directly to purchase your tickets. 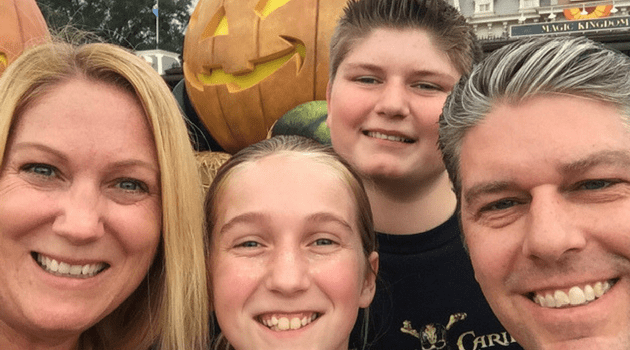 If you are having a family reunion or just bringing some foster kids or girl scouts to Disney, you can save money with a special student rate. For the student rate, you do have to book a 4-Day Pass or more. The only requirements are having at least 10 kids and having more kids than adults. If you have 10 kids and 15 adults, you would not be able to apply for this savings. You do need more kids than adults. We call Orlando the “Disney line!” You will spend a majority of your Orlando vacation waiting in lines. Save a little time waiting in lines, by ordering your tickets before your vacation. That will save you up to an hour waiting in lines to purchase your tickets. One of the newest benefits of pre-ordering your Disney World tickets is FastPass+. This is an advanced reservation system for rides at your favorite Disney Theme Parks. If you add your tickets into a package, you can reserve your ride reservations up to 120 days in advance. If you purchase just your tickets alone, you can book your ride reservations up to 30 days in advance. This gives you a jump start on getting those tough ride reservations. I know that planning a Disney World vacation is unlike planning any other vacation. It does take a lot of time to plan. However, we are all busy with jobs, kids, and life. If you only have 5 minutes to purchase your Disney World tickets, what should you do? For me, I would purchase my tickets from a Disney World wholesale. I recommend the Official Ticket Center. I have known the owner for over 10 years. They offer some of the best discount on Disney World tickets and some extra freebies, like a free day when you purchase a 4-Day Pass. It takes just a few minutes to order online and then print at home. You save money on your Disney World tickets and it takes less than 5 minutes. 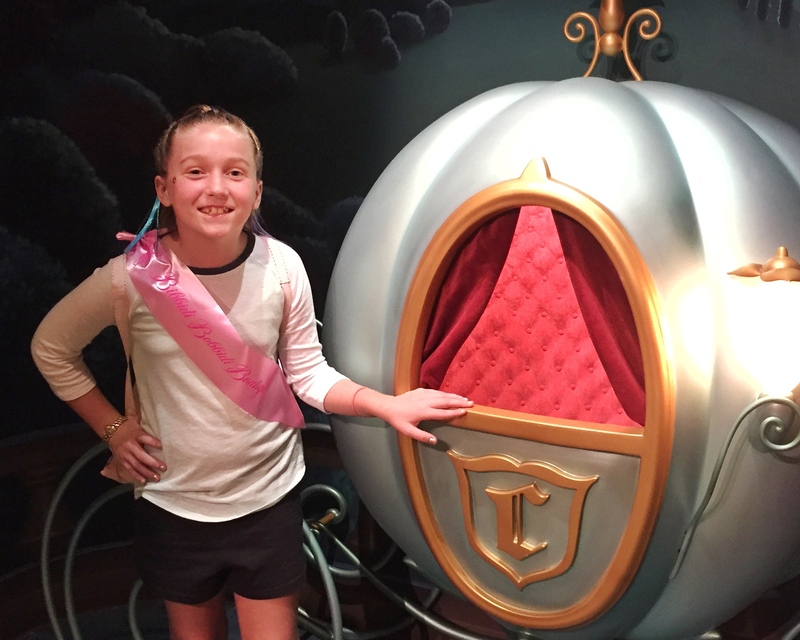 The Walt Disney World Resort is an amazing family vacation! There are so many attractions and parks to see. We hope this guide helps you navigate through the Disney World tickets and start creating magical moments with your family. Check out some other ways to save money at Disney World.